Talk about a pleasant surprise, while sitting around on a lunch break, and checking out new bands that advertise on the right side of Facebook pages, I found this! Between all the ads for TV shows, movies, and products companies want you to buy, I came across this EP from The Deadstation, a three-piece band with a solid foundation, and an exact idea of where they want to go. The Dead Station: watch out for the bat. Now to the aptly but long titled Episode 01: Like Peering Into The Deepest Ocean Abyss. Hundred Foot Drop, starts off with a melancholic guitar melody, with an effects laden ambience in the background as it builds up into the massive, Subsistence Defined. A huge technical low-end guitar riff kicks in, with layers of clean piano and strings behind them, each instrument receiving their proper mix as everything can be clearly heard. A short but technical guitar solo does follow, showing the band�s musical abilities. This song goes through multiple rhythms, multiple time signatures, and not for the sake of it being technical for technical reasons. Every layer, riff, and melody carry the song through its five minutes and 40 seconds, and not once does it sound off or disjointed. The song takes you from rip-your-face-off fast to melancholy and reflective, taking you to a place much different from where it started. The next four songs link together the EP�s title Like Peering into the Deepest Ocean Abyss, as you feel you are being drawn into the character�s story. While the song Drugs for the Pain Inside sounds similar to the song before it, hints of aggressively styled spoken lyrics that are not grunts or growls change the vocal dynamics, allowing it to stand on its own. The next two songs share a more melodic progressive approach you could find somewhere in the Systematic Chaos era of Dream Theater. The song Repentance on that album comes to mind. The spoken words of August 4th - 3:21am carry this brief but melancholy song. Anything but this, Anywhere but Here, starts off with the same melancholy as before, but the singing returns, and the heavier crescendo of the earlier songs comes back 30 seconds into the song. A more straight-forward melody carries the song with layers of strings over it. I Cannot Explain Myself Anymore and Slowly, But Surely, I�m Drowning round out the last two songs on this EP, the latter starts off with a very cool twin clean electric guitar melody, as it builds up into the strong vocals you have heard throughout the EP. This song is, again, multi-faceted, multi-rhythm changes, multi-, well everything! The last song on the EP starts off like the first song on the EP began: being dark and melancholy, leaving room for either thoughts of despair, hope, allowing this EP to finally take its last breath. Quiet spoken words, beautiful strings and somber guitar playing close out this amazing EP. The musicianship is extraordinary on this EP, from the drummer, with his multi-rhythmic and percussive style influenced from Mike Portnoy and like-minded drummers, to the massive wall of guitars and keys. 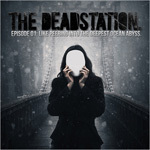 The Deadstation are here, and I hope the world takes notice. Like the end of any good Episodic television show you see on primetime television, this EP leaves me wanting more. 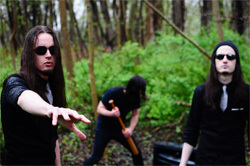 Easily recommended to the most open-minded progressive rock/metal fan. Check out samples and download the EP free at their Bandcamp page. Episode 01: Like Peering Into The Deepest Ocean Abyss. by THE DEADSTATION. 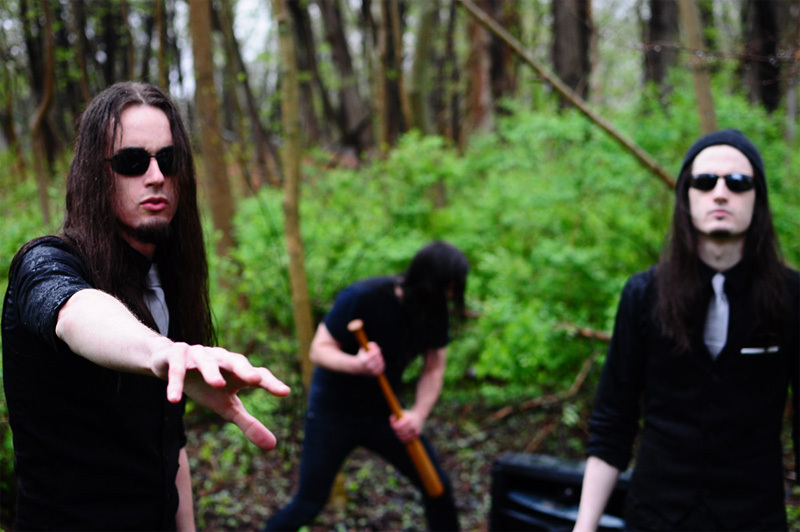 Enjoy new progressive metal from the talented and inventive The Dead Station.